The ITMS PGS Advisory Council (AC) will assist the ITMS in setting its priorities and strategic issues aligned to the PNP PATROL Plan 2030. The AC will also evaluate and amend the implementation of the PGS and development of future programs. The AC is composed of well-respected personalities from the Media, Private/NGO, Government Agency and Academes. Awarding of Winners for the Poster Making Contest at the ITMS Hall of Fame participated by the students of Camp Crame Elementary School. September marks the annual celebration of National Cyber Security Awareness Month with the theme: "Internet and Social Media, Cyber Security for the Youth." PNP ITMS through the IT Officers detailed in the different PNP offices nationwide also conducted Police Information and Continuing Education (PICE) on the Fundamentals of Computer Security. This is in line, with the thrust of PCSUPT NEMENZO, Director ITMS that PNP personnel are made aware of computer security since they are considered the first line of defense. As PNP systems and functions become increasingly reliant on IT, adhering to best practices are critical to protecting PNP IT resources and devices. The activity also included the dissemination of computer security poster and social media usage material which the PNP ITMS prepared. ITMS PGS Proficiency Evaluation Process Audit Exit Briefing at the ITMS Conference Room. Launching and Press Conference of the PNP iSerbis Mobile App at the PNP Media Center, Camp Crame, Quezon City. 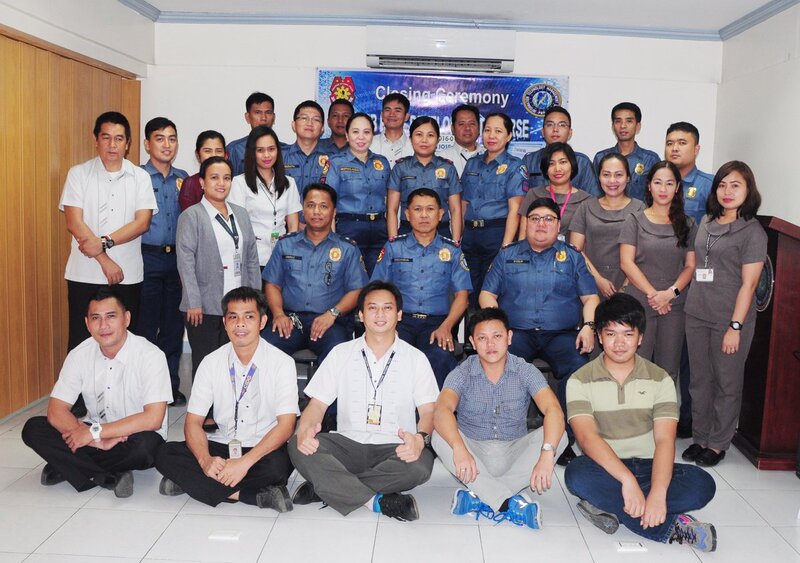 The ITMS successfully trained thirty (30) PNP personnel on Web Page Development. The course aims to equip the PNP personnel with knowledge and skills on web page development and content management system which is necessary to cope with the fast-paced web technology. The course is designed to offer accessibility in every module to ensure that every participant will easily learn the basic principles of web development.